Two years ago, Ousman Manneh was playing football in a refugee camp in Germany. On Saturday, at the ripe young age of 19, he made his fourth appearance for Werder Bremen in their Bundesliga clash against Bayer Leverkusen. With the game tied at 1-1, Manneh managed to get his foot on the end of a deflected cross and smash it into the net to grab the game's winner in the 59th minute. 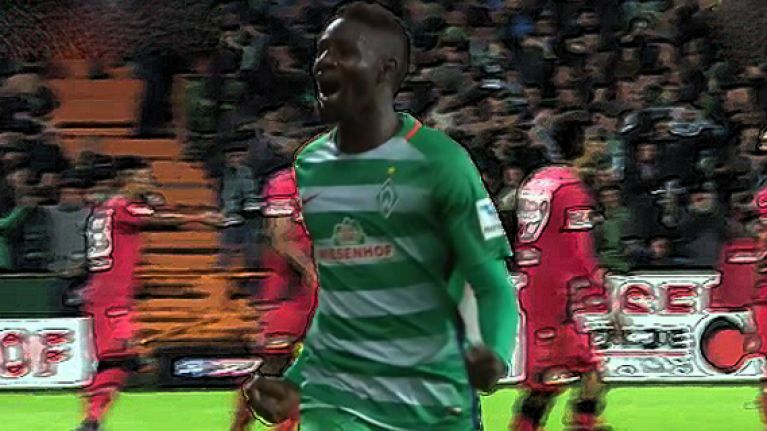 The result marked the second win of Bremen's season, but it meant so much more to the goal-scoring hero. Per BBC Sport, Manneh left his family in the Gambia and fled to Germany as a 17-year-old. He was then snapped up by fifth-tier outfit Blumenthaler who handed him his first taste of German football. After banging in 15 goals in 11 games for the club's youth team, Bremen took note of his talents and signed him to their reserves in 2015. Manneh was in utter disbelief after scoring his first goal for the club. "I can't believe this. Is this real or am I dreaming?" "This is the greatest moment of my life. It's hard to describe my feelings. I've been so proud to be the first Gambian to play four Bundesliga games, and now I'm proud to be the first one to score." To cap it all off, it was also a landmark goal, as it made him the first player from the Gambia to score in the German top flight. Liverpool loanee hailed Hertha Berlin's "best midfielder of the past 20 years"